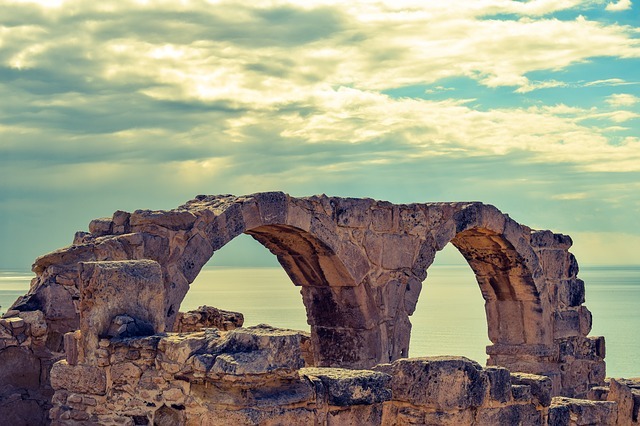 The history of Cyprus can be traced back as far as 10,500 BC! This was the Stone Age! 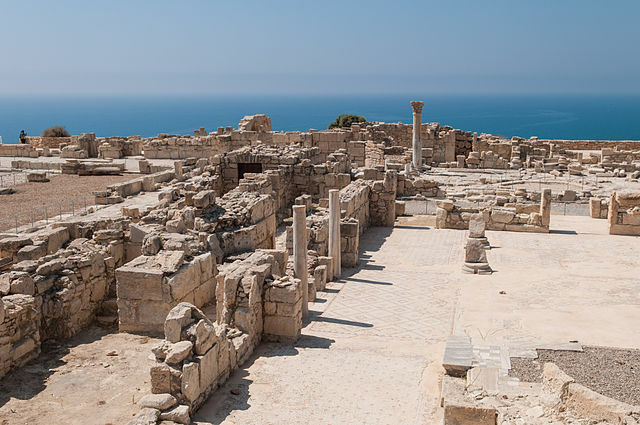 They could be off by about 1,000 years, but archaeologists have discovered some of the oldest water wells in the world on Cyprus, which definitely proves that people have been there for a long, long time. The earliest known lasting settlements date from around 6,000 BC. Pottery fragments, burial sites and such, have been discovered belonging to this time period. Around 3,000 BC, Myceneans (ancient Greeks) migrated to the island, bringing Greek traditions and mythology with them. The Troodos Mountains hold copper deposits which were discovered and mined as early as 2500 BC. Trade with Egypt and the Middle East established prosperity for the inhabitants of the island. The island was at one time considered the wealthiest nation in the world due to its copper wealth. 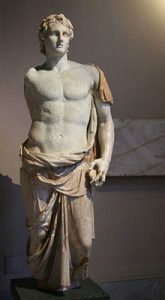 The oldest writing, which was found on clay tablets dating back to 1600 BC, shows that Greek culture dominated at the time, although the island is located much closer to Turkey, Egypt and the middle eastern countries than to Greece. There were, of course, people who migrated from all of these places and many of these cultures eventually seized control of the island at one time or another. The 12th century (BC) saw a significant influx of marauders, known as ‘sea people’, who sacked villages as they plundered the island’s wealth. It is still unclear to historians who these ‘sea people’ were or where exactly they came from, but they definitely kept themselves busy attacking and plundering around Egypt, Cyprus and the eastern Mediterranean during the late Bronze Age. In the 11th century (BC) backup Myceneans arrived from Greece, who were eventually able to put the ‘sea people’ problem to rest. Unfortunately, a devastating earthquake shook the island in 1050 BC, adding further instability to the island’s economy and destroying several villages. 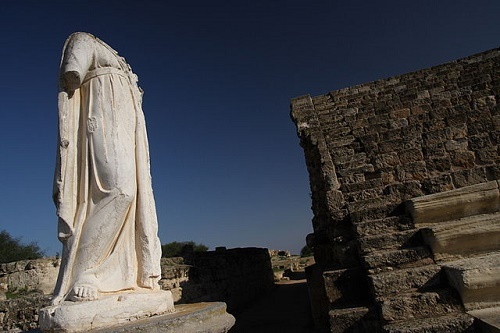 There had long been other powers keeping their eye on Cyprus, and three successive empires took control of the island, starting around 700 BC, when the Assyrians invaded. In 600 BC, the Egyptians came, and finally, the Persians in 546 BC, who were able to hang on to the place until none other than Alexander the Great arrived in 333 BC. He went on to conquer the Persian empire (along with most of the civilized world), and was welcomed as a liberator by the Cypriots. After Alexander’s death at the young age of 32, Ptolemy I became heir to parts of the empire including Egypt and Cyprus, which led to Egyptian rule on the island. Cyprus did not become Egyptianized, however. It was the other way around. Ptolemaic Egypt existed under Greek influence during what is called the Hellenistic, or Greek period of history. This lasted for a good long time until the island was conquered by Roman legions in 58 BC, and it became part of the Roman Empire. At this time, Salamis was the largest city on the island, with a population of 200,000. Control of the island fluctuated between Egypt and Rome for some time and it was even given by Marc Antony to Cleopatra and her sister Arsinoe at one point around 31 BC. 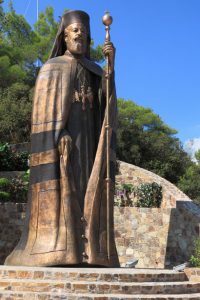 In 45 AD, the apostle Paul arrived on the island bringing with him the disciple Barnabas who was born in Salamis, and the island became Christianized. 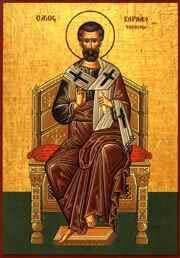 With the conversion of Proconsul Sergius Paulus, Cyprus also became the first country to be governed by a Christian. More bad things happened in the 4th Century, when the island suffered two cataclysmic earthquakes (332 and 342), which destroyed most of the island’s cities. Not long afterwards, the division of the Roman Empire led to a return of Byzantine influence, meaning that the Greek culture, which had defined the island in earlier times, became dominant once again. In the 5th and 6th centuries, a period of rebuilding ensued. Salamis was rebuilt and renamed Constantia and became the capital. 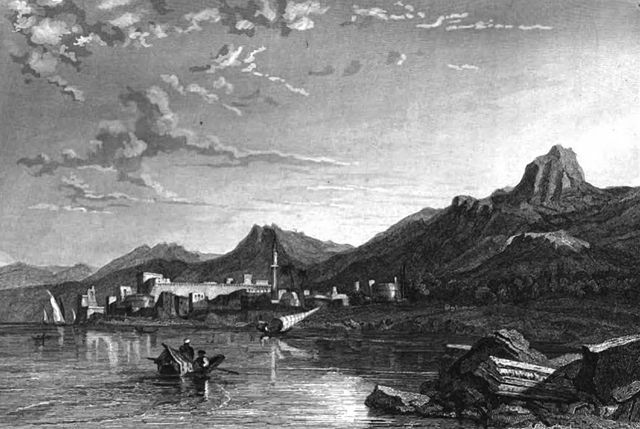 Today’s capital, Nicosia, was also built around this time. Most islands suffer at one time or another from pirate raids and Cyprus became victim to Arab pirates, who left much destruction behind them, starting in 647 AD. Cyprus continued to be a victim of these raids for nearly 300 years until they were effectively eliminated by Byzantine Emperor Nicephorus II Phocas around the year 965. Cyprus was next captured by Seljuk Turks in the 11th Century, along with Syria and the Holy Land. This caused the Crusaders to organize in the following two centuries with the goal of recapturing these lands. 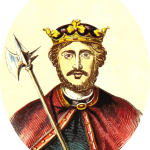 Richard I (The Lionheart), King of England was thus occupied when a storm forced his ship onto Cyprus. King Richard not only reclaimed the island, giving it to the Knights Templar, but also decided it was a great place for a wedding. 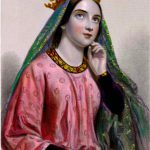 He married his queen, Berengaria of Navarre at Limassol castle in 1191. The Knights Templar did not hold on to the island for long and sold it to Knight Guy de Lusignan of the French Lusignan dynasty. Although much building of magnificent cathedrals occurred under the Lusignan rule, the people themselves remained poor and French, Italian and Greek citizens lived uneasily alongside each other for around 200 years. The last Lusignan king gave Cyprus to Venice in 1489. During this time, the largest walls and fortifications were built. Although quite impressive, they were not enough to hold back the Turks, who were the next to take over the island after Sultan Selim II’s Ottoman army attacked leaving over 20,000 slaughtered. 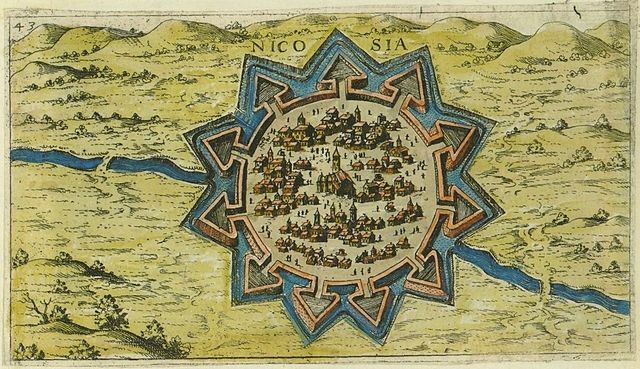 The battle at the city of Famagusta, on the east coast, lasted ten months. 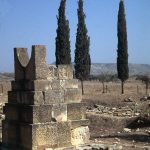 Once the Turkish had secured their position as rulers, they went about the business of destroying churches and monasteries, or else transforming them into mosques. There were also executions, including the Archbishop of the Orthodox clergy in 1821. Turkish rule was to last 300 years and ended as a result of negotiations with the British. In exchange for military aid in their ongoing conflict with Russia, Turkey gave Britain administrative rights to Cyprus, although it remained Turkish territory. Cyprus went on to become a British colony in 1925. Meanwhile, the establishment of the modern Greek state in 1830 caused the launching of a movement which called for union with Cyprus, a process which was called “enosis”. Enosis became the cause of the National Organization of Cypriot Fighters (EOKA), who, more than a century later succeeded in this quest despite the Turkish counter organization (TNT), who campaigned for continued British rule. On August 16th, 1960, Cyprus declared its independence. The population at the time was 77.1% Greek and 18.2% Turkish. The UK retained control over two areas – Akrotiri and Dhekelia – where they had established military bases. In 1963 an incident between two Turkish Cypriots and the Greek Cypriot police, led to rioting and violence, leaving 364 Turkish and 174 Greek Cypriots dead. This led to the Turkish Cypriots’ withdrawal from government office although there continues to be debate as to whether this withdrawal was completely voluntary or not. Soon afterwards, Greece and Turkey became involved. Greece sent 10,000 troops to the island and in retaliation, the Turkish Air Force launched heavy air attacks on several Greek villages in the region of Tylliria. The United Nations reacted to the situation by sending peacekeeping troops, who remain to this day. In 1974, Greece, under the command of military junta leader Dimitrios Ioannidis, carried out a coup d’etat which ousted President and Archbishop Makarios III. Makarios had survived four previous assassination attempts and this time was able to escape to England. He was replaced with the pro-enosis Nikos Sampson, a member of the EOKA. Turkey responded by sending troops who took control of the north and resettlement began. 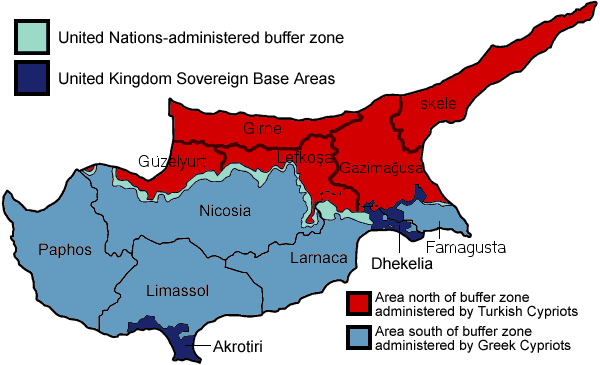 The ‘green line’ was established, and since then, Cyprus has been divided. In 1983, the Turkish Cypriots declared their territory the Turkish Republic of Northern Cyprus. The Republic is only recognized by Turkey, while the international community considers it a part of the Republic of Cyprus. In spite of this delicate situation, Cyprus went on to become a member of the Eurozone in 2004 and adopted the Euro as currency in 2008. 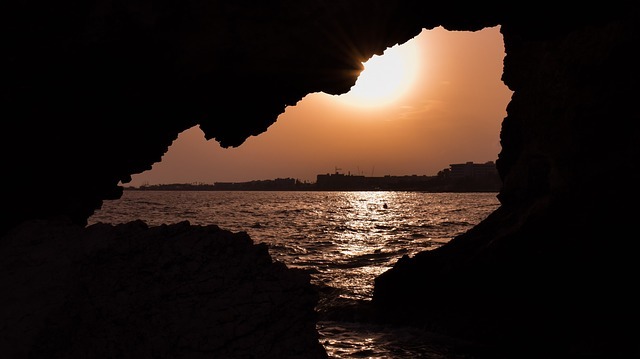 Travel between the two parts of Cyprus has been somewhat complicated in the mean time, but restrictions have relaxed considerably as of late. Travelers should note that entering the country from the Turkish side is considered an illegal point of entry by the Republic of Cyprus and can result in fines, imprisonment or just angry policemen, depending on the moods of all involved. It is generally agreed upon that EU residents can move about freely, but non EU nationals should take care to follow protocol, which includes not taking a rented car across the green line, or entering from the north. Taking a few precautions will make it possible and safe to see the wonders this beautiful island offers, both in the north and the south.